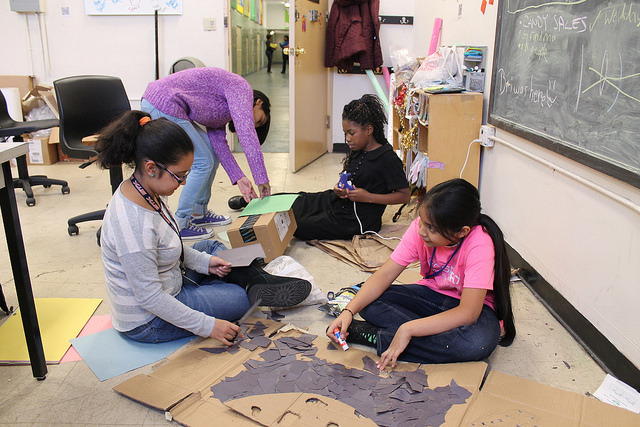 Brianna Rodriguez, 11, and Pamela Flores, 11, work on a backdrop for an “Angry Birds” project at NYC Sparx.Behind them, Madushani Liyanate, 23, helps Brittney Rodriguez, 11, on her project. Photo by Karis Rogerson. Brittney Rodriguez is an 11-year-old ball of energy. She bounced from her spot, kneeling on the floor in her black dress, to the other side of the white-walled classroom, looking for a hot glue gun. She eagerly announced to anyone who would listen that she wants to go to NYU and be a heart surgeon when she grows up. Meanwhile, a few inches from her, Pamela Flores and Brianna Gonzalez, both 11, sat cross-legged between a table and the wall, putting pieces of grey paper onto a large sheet and giggling, swapping stories about mutual friends from school. They were making a background for an “Angry Birds” project. The girls were at a Friday afternoon session of NYC Sparx at St. Mary’s Recreation Center, in the South Bronx. The center is located off of a wide avenue and has an adjoining basketball court and playground, but these girls stayed inside, in their classroom on the second floor whose walls are littered with posters and messages declaring “Sparx Rocks” or “Girls Rule.” There they learned about technology and how to be creative within STEM — science, technology, engineering and math — fields. NYC Sparx is an outreach of NYC Parks and Recreation’s Computer Resource Center (CRC) with the goal of helping young girls in the Bronx mine their interest in technology and combine that with the arts. According to City Data, in 2013 30.7 percent of Bronx residents lived below the poverty level, compared to 14.6 percent in the rest of New York State. For a family of four, this would mean having an income of $23,834 or less, according to the Census Bureau. Most of the girls who attend NYC Sparx are of Hispanic or African American backgrounds, Reid said. This makes sense, considering each group made up more than 40 percent of total population in the Bronx in 2014. But those demographics are underrepresented in STEM fields. Latinos make up only 9 percent of STEM jobs, and African Americans (even men) hold few jobs. Reid said one of the main challenges for girls from minority communities who want to get into technology, including Latina or African-American girls, is economics. 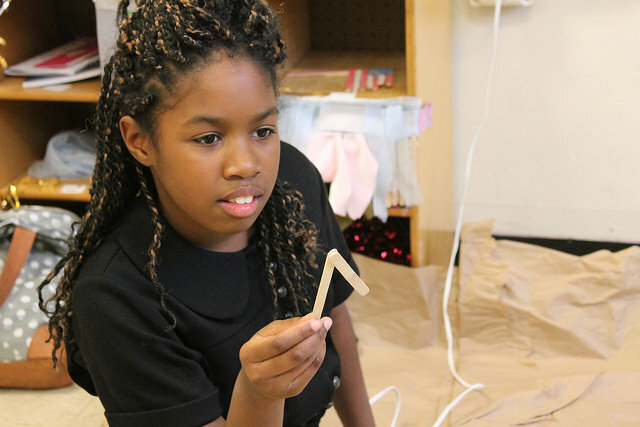 In addition, a young girl’s location has a lot to do with her potential future in STEM. 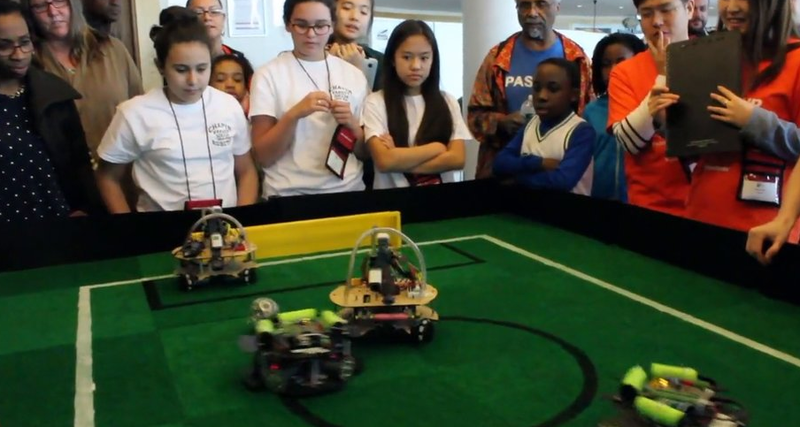 Co-Director of NYU’s Tandon School of Engineering Science and Technology Studies Christopher Leslie said whites and Asians make up the majority of students in STEM fields, while black, Latino, Pacific Islander and Native American numbers are much lower. Leslie also said that a person’s economic background has much to do with their success in STEM. NYC Sparx is for girls only, Reid said, because that allows the participants to open up and learn in a way they might not to if there were boys in the group. Reid, 34, was recruited to help lead the program when it launched in July, she said, and works directly with young girls four days a week at two different locations. 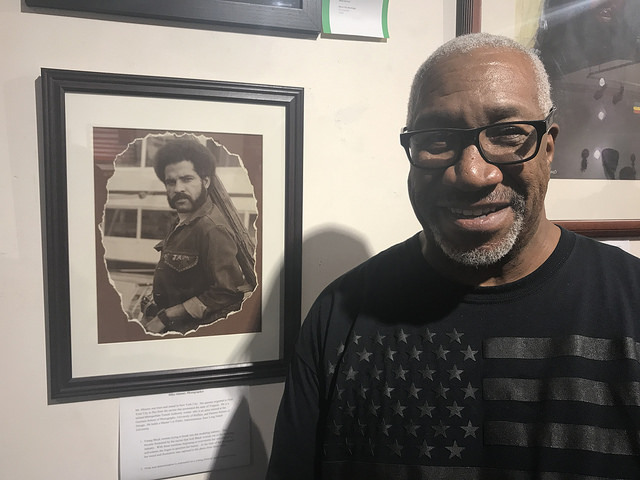 On Tuesdays and Thursdays, she works at St. James Recreation Center and on Wednesdays and Fridays at St. Mary’s Recreation Center, both in the Bronx. 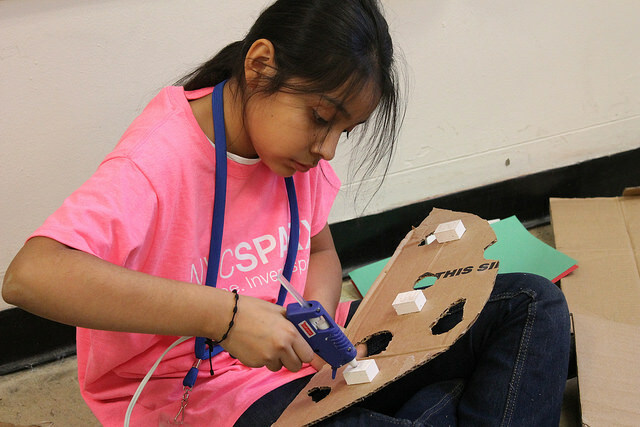 Pamela Flores, 11, uses a hot glue gun to put together a backdrop for an “Angry Birds” project at NYC Sparx. Flores said that she enjoys coming to the class because she likes to create things. She is especially fond of using the 3D printer, something Gonzalez also enjoys. Reid said she feels like the impact they are having is greater than just teaching girls to embrace their love of technology.